I enjoy the layout of this book and its organization. It's easy to follow and also has many useful test questions. The practice tests are very helpful and give me a better idea of what's going to be on the test. 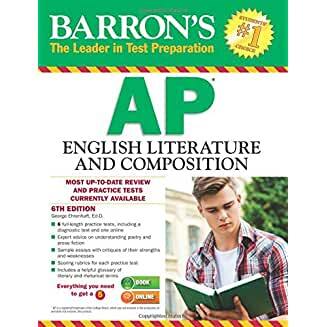 This is a great book to use to review for the AP Literature exam. I got this to help me study for the English Praxis II and I thought it was very helpful (and inexpensive which I really liked). I combined this with the Cliffsnotes study guide and the SparkNotes 101 Literature book. I didn't go too in depth with any of them and I passed on the first try so I'd say they were a solid combination. I used this to aid my class's quizzes and tests which significantly improved by a letter grade. I originally had C' s in all my quizzes and tests ( real AP exams from previous years) I improved to A so it did it's job. My practice exams predicted I would get a 4 or 5. EVERYTHING YOU NEED TO HELP SCORE A PERFECT 5. 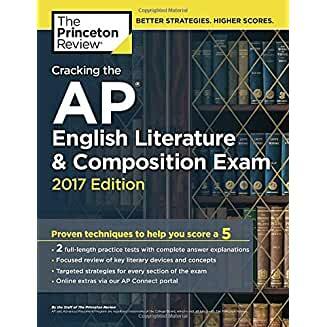 Equip yourself to ace the AP English Literature Exam with The Princeton Review's comprehensive study guide—including 2 full-length practice tests, thorough content reviews, access to our AP Connect online portal, and targeted strategies for every section of the exam.